A Cincinnati family sees a bond between the flag and a deceased loved one. Now, they won the flag for $10,900 on eBay. 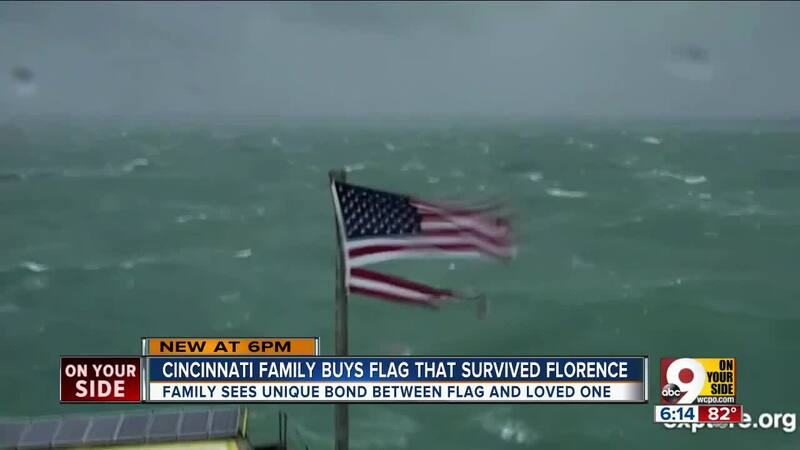 CINCINNATI -- An American flag that stood the test of Hurricane Florence has sold at auction for more than $10,000. The flag, once perched atop the Frying Pan Tower off the coast of North Carolina, gained viral fame when a live stream of Hurricane Florence's landfall showed the flag being battered but not destroyed. 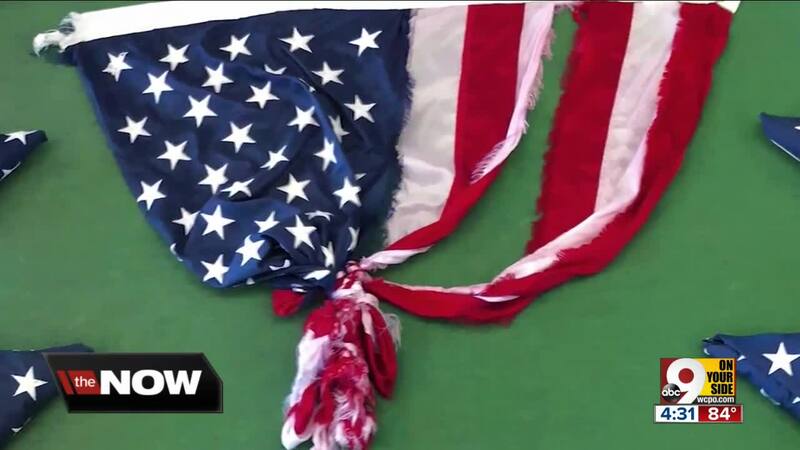 As the video gained popularity, fans nicknamed the flag "Kevin." Richard Neal, the primary owner of the Frying Pan Tower, told CNN that he decided to sell the flag after seeing its popularity spread online. He set up an eBay auction, with the money going to the American Red Cross. When family members of Kevin Caruso saw the flag was up for auction, they knew it only made sense to bid on it. They said the connection between Caruso and the flag was more than just the name Kevin; it was the same fight and strength in the face of a storm. Caruso ran his family's business in Cincinnati, Ohio for a time before moving out of state. After fighting prostate cancer for months, he died on Sunday morning, not long before bidding closed. "We said, 'That's Kevin. He was a fighter and, again, in our lives how he inspires us as a family is just never quitting," his brother, Mike Caruso said. "... Having the faith to keep pushing through, that part if it, and seeing our flag pushing through and saying, 'I'm not going anywhere,' that was Kevin." The money spent on the flag will be used to help families impacted by Florence.